Terry Mackin has over 15 years of mergers and acquisitions experience working with middle market clients in helping them reach their professional and financial goals. Prior to joining the Generational Equity team in 2005, Terry was President of Eventus Investments LLC, a middle market mergers and acquisitions firm located in Dallas, Texas. 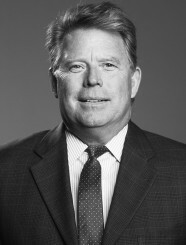 Mr. Mackin’s professional experience also includes working with Citigroup’s Capital Strategies division and as a Vice President for a Kansas City-based M&A firm specializing in consolidating markets including healthcare, heavy equipment and telecommunications. With the success of both firms, Terry has been able to expand his professional abilities into every major area of business commerce while participating in the closing of over 50 transactions during the course of his M&A career. Mr. Mackin earned a Bachelor of Arts in Political Science from the California State University at Long Beach with an emphasis in International Law.